Now the revolutionary Bioclear formula is available in a lotion/serum consistency directed toward oilier skin types. This versatile product also has remarkable anti-aging and skin resurfacing properties. Research has resulted in a formula that produces exceptional benefits for adult acne, acne scarring, inflammation, discoloration, enlarged follicle openings, the appearance of wrinkling and textural changes due to cumulative sun exposure. Those with oilier skin will love the immediate absorption and light silky feel. Rapid clearing of existing acne lesions and prevention of future lesions. Skin will appear dramatically softer, smoother, more luminous and hydrated. Measurable lessening of appearance of fine lines and wrinkles. Skin texture will appear more refined and follicle size will appear to diminish significantly. Acne discoloration will resolve or lessen and skin tones will appear more even. Begin using Bioclear in a conservative manner. If using a Glycolic Acid based product, Bioclear will replace that product. Starting with a once per day application, gradually increase usage over a week or so, to morning and evening application. Mild stinging may be experienced initially as well as a temporary redness and flaking. Continuation of any other products in your normal skin care management system may be used in their usual order. This product is effective and I highly recommend it. I have acne prone, oily skin with melasma (hyperpigmentation). I am on my 3 bottle of this and can say this is the one product I cannot live without. It makes your face really look wonderful. I was only using at night but now use it in the morning under my make up as well and it makes my skin look even better as the day goes on. It compliments my mineral/powder foundation really well. It doesn't make my skin anymore oily than it is already. There is a transition period when increasing usage--where my skin flakes a little until it gets used to it. The worst thing with this product is the horrible clogging/dispensing problem. There is something that falls out of solution and clogs inside. They gave me a new one to replace my clogging one, but I think it is inherent to this product/packaging...the components of this formula aren't completely in solution so it will clog no matter what. Still a great product but a little pricey for the dispensing issues. causes oiliness in the skin. it's meant more for anti aging rather than breakouts. and for its price not worth it. 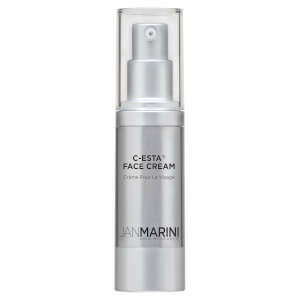 I suffer from mild adult acne, and Jan Marini products have changed my life (sounds clich, but it is true). While many acne products are harsh and do nothing but dry out your skin, this product fights the causes of acne by actually changing your skin. Not only have my breakouts completely stopped, but my skin looks smooth, well balanced, and completely healthy. I get compliments all the time about how great my skin looks and how young I look for my age. This product is not as it's advertized. It is extremely harsh, burns my skin upon application, made my skin peel/flake. I think even if you had acne there would be a better product to use that did not strip the skin so harshly. This product is absolutely brilliant at keeping my skin clear and spot free. I have greasy T Zone and therefore find the lotion much better for my skin type.The only problem I have with the product is the actual packaging. The pump keeps breaking and I end up having to pour the product out of the bottle which is probably not very economical.Come on Jan Marini, surely you can fine a better, workable and more reliable pump for such a brilliant product. The product itself is very good. However the packaging is terrible. The pump on my last 4 bottles has broken after a few uses. I don't have time to keep sending them back for new bottles. They need to fix their packaging ASAP. JM has lost me as a customer. 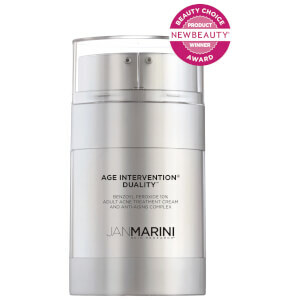 Of all the skin care products I have tried and I have tried many It has come to me a such a welcomed surprise that Jan Marini Skin Care is hands down the Best Skin Care that I have ever used. I was in search of a lip cream and after trying a few I came across Jan Marini C ESTA Lips. I fell so in love with it that I wanted to venture out into the line to see how well her other products worked. Being the product junkie that I am always in search of the newest and greatest I have experienced breakouts with the most expensive most advertised and well touted skincare. In fact I had a little problem that I had been fighting for months on my forehead and the left side of my jaw line that I had given up on. 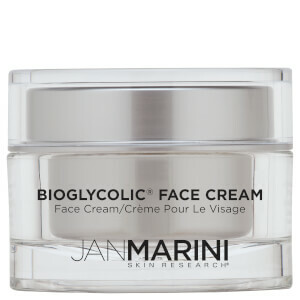 At Jans suggestion I started using Jan Marinis BioGlycolic facial cleanser, BioGlycolic Bioclear facial lotion, Age Intervention Peptide Extreme facial serum with the Age Intervention Regeneration Booster and the Age Intervention Eye Cream during the day under my make up in that order. With in 1 day the problem that I was experiencing on my jaw line flattened out and within one week it became shockingly invisible and has not returned in the 2 months that I have been using these products! As well my forehead has not had one breakout. 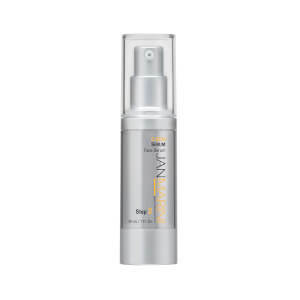 At night I top off the above regimen with Jans Transformation Face Cream. In the morning my skin feels hydrated as well it has become noticeably toned and firmer. I keep the C ESTA Lips in my purse and my make up bag.. I am completely addicted to it! It is decadently creamy not greasy. It is the perfect lipstick and lipgloss base or as an anytime hydrator. It smoothes and plumps up fine lines. It noticeably improves your lip area reversing the signs of time! I got a free sample of this a while back, and had great results on my oily, acne-prone skin that also has discolorations from past acne. My doc even commented that my skin looked better, which I thought was great because I NEVER get comments about my skin.I was on Differin for a couple of months but it didn't help much at all.I've been using this regularly and I can't believe how my skin has cleared! I get hormonal acne on my chin and I only use this when I notice some discoloration or if I have some small pimples. My old acne marks have disappeared! I can start seeing results after only one application.HINT- if you use too much in one area, it WILL burn! Less is more. I apply a VERY thin layer to my chin at night.The only downside to this product is that it is so expensive, but the small bottle lasts a long time, and it's worth it!